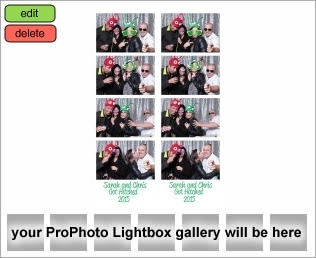 We are featuring photos taken with our Open-Type photo booth. The booth uses the same camera (Canon T3i-5i) and the photos are great. It is classified as a photo booth because the guests use a TouchScreen to start the photos. This type of booth is becoming very popular and is being used at all kind of events.